Category: Fat Quarters, Quilt Books. 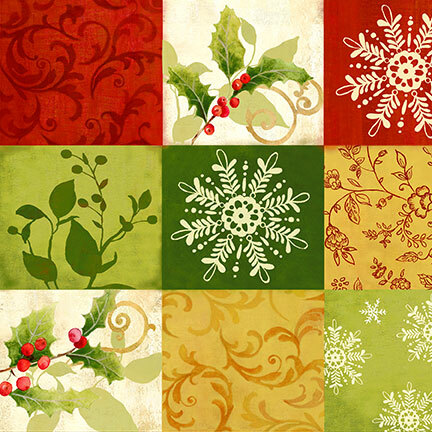 Tags: fat quarters, runner, scrappy, template free piecing, topper, book, Christmas. 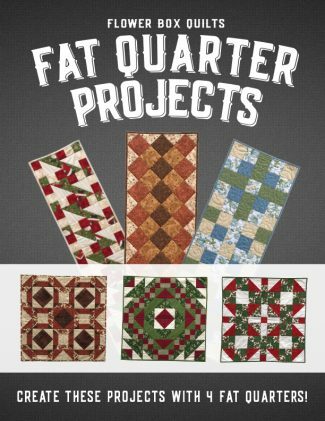 What is a Fat Quarter (FQ)? 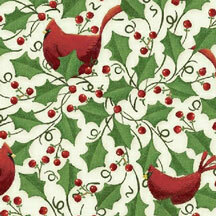 A fat quarter is a pre-cut piece of fabric that is a quarter yard cut of fabric cut wide. 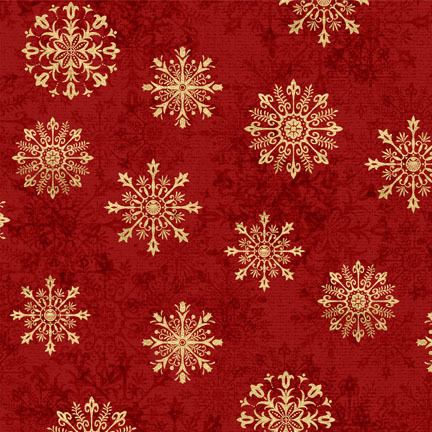 Cut a 1/2 yard of fabric (18” x 42”); then cut it in half so it is 18” x 21”. 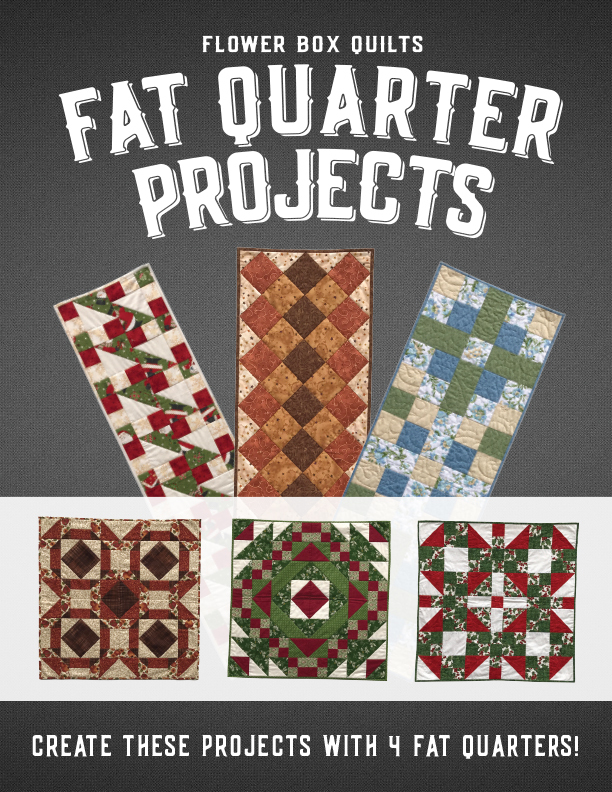 This booklet features 6 different quilt projects where each project uses 4 coordinated Fat Quarters. 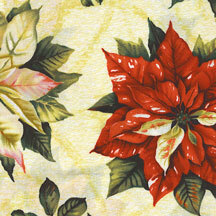 * Please view the photo below as the tags on the quilt (FQ #?) refer to the specific quilt project shown in our booth. The diagrams for each project in this booklet are created in grayscale to highlight the Color Value (light, medium and dark) of the fabrics used. 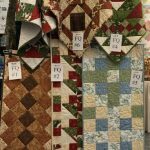 Please note that the color photographs of the finished runners and quilts are just a sample of what was created with that particular fat quarter bundle! Your quilt will look entirely different (yet similar) with your fat quarter bundle using the light, medium, and dark fabrics as noted in the directions.